For a child living with a disability, the opportunity to ride a bike is life-changing. Through your support of this event, the Children’s Rehabilitation Foundation will be able to give more children adaptive bikes and the joyful freedom that comes with it. 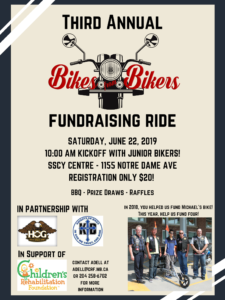 Join us on Saturday, June 22nd as past recipients of these adaptive bikes kick off the ride and lead the way as our ceremonial leads!